Though it’s been years since they’ve made music together, Lance Bass says all the *NSYNC guys still talk daily, and hints that a reunion isn’t out of the question. Larry King: Do the guys all keep in touch with each other? Larry King: I remember when you were on our show on CNN. Lance Bass: I know, I remember that. And that was one of our first interviews. Larry King: I know, that was fun. Lance Bass: I know. No, we talk to the guys, I mean, all the time. We have a, we have this group text that we use pretty much daily. And we’ve had that for years. So uh, you know every day I think of those guys and every day I talk to them. Larry King: And one’s become a superstar. Lance Bass: And one has, yeah. Larry King: Is he still the same? Lance Bass: Yeah. I mean nothing’s really changed in any of the guys. With Justin blowing up solo like that, I mean that was just insane to watch. Cause you know, NSYNC was huge but we had no idea that Justin would be able to have, you know, this amazing solo career. Larry King: As an actor? Lance Bass: Yeah acting. I mean everything. He’s a talented man. Larry King: @Kinglam94, Is it possible to ever reunite NSYNC once more? Lance Bass: Well of course, yeah. I mean, you never know what we’re gonna do. I didn’t know we’d be performing three years ago at the VMAs together. So you know, and we’re getting our star on the Hollywood Walk of Fame next year, so we’ll be together for that. So there’s little reunions all over the place. Larry King: @charleeene94x, How often do you and the NSYNC guys hang out together? 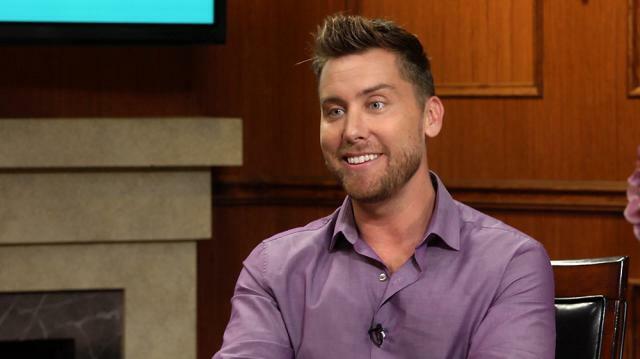 Lance Bass: Uh, it’s hard to get us all five in a room. Um, last time we were all five together was J.C.’s 40th birthday, which was August 8th. So uh, we were all together then. Larry King: Watch new episodes of ‘Larry King Now’ Monday, Wednesday, and Friday on-demand on Ora TV and Hulu.